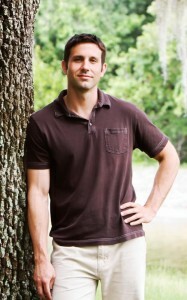 Matthew Waletzke is a Certified Building Biology Environmental Consultant (BBEC), and passionate about holistic approaches to health and wellness. Prior to becoming an environmental consultant Matthew managed a holistic wellness center specializing in energetic medicine and biofeedback. It was his experience here, working with people of all ages and symptoms, which inspired him to pursue the study of how indoor environments affect our health. One of the most glaring problems that Matthew has seen is how in recent years the health of our children had declined so rapidly. There are more incidences of childhood conditions such as Autism, Asthma, Allergies, and ADHD then ever before. Much of this is due to the over toxicity of our bodies due to the ever decreasing purity of our living environments. One of Matthew’s main missions is to help create safe and healthy nurseries and homes for children, as well as educate parents of its importance in order to reestablish the balance of health for our children. Matthew is available in-home consultations, healthy home presentations and workshops throughout the New York Tri-state area. Phone consultations available nation wide.